We understand that making a large purchase such as this can lead to many questions. That’s why we’ve tried to make it easy for you and put all our answers in one place! Is there a way to remove my wheels and tires after the car is on the lift? Yes. You have a couple of options, depending on your vehicle type. You can use our “Centerlift” bridge to place a jack directly under the center of the vehicle. The jack you place on the bridge can lift or support the front or rear axle. You can place a jack on top of either of the ramps, and then jack your vehicle up off the ramp just as if it were parked on the ground. Both of these options make it easy to remove wheels and perform basic maintenance. How high does Kwik-Lift raise my vehicle? Kwik-lift raises the bottom of the tires to 20 inches above the floor, putting the average chassis at about 30 plus inches above the floor. Will it go any higher? How does the lift tube ( the pipe ) work? How do I lift the unit? A floor jack should reach a height of about 19 inches in order to work with Kwik-lift. Your jack needs to drop to a level of 5 inches in the down position to fit under the tube. Most jacks will work with Kwik-lift. However, there are a few that will not. Also, you must use a jack that has a jack bell with a diameter large enough to safely support the lift tube during the jacking process. Do not use a jack which has a bell diameter of less than 4 inches. How long is the Kwik-Lift? The Kwik-lift is adjustable length. There are 3 length settings: 13′ 3″/ 14′ 0″/ 14′ 9″. The longest individual piece is 8 ft. 4 inches long. The width is also adjustable. Can the width of the Kwik-Lift be adjusted? Yes. The width of the Kwik-Lift can be adjusted to accommodate everything from a Jeep with oversized tires with a golf cart of ATV. What should I do with Kwik-lift when I'm not using it? Nothing. Leave it assembled !! Our customers tell us that they simply leave the unit assembled and use it as a parking place. Many say that they drive on and off several times per week. When it is time to work on the car, just jack up the unit, release the pin which releases the rear legs, lock the legs in place, lower the unit onto the legs, and go to work! It only takes about 60 seconds. Can I lay Kwik-lift down flat on the floor? Yes. 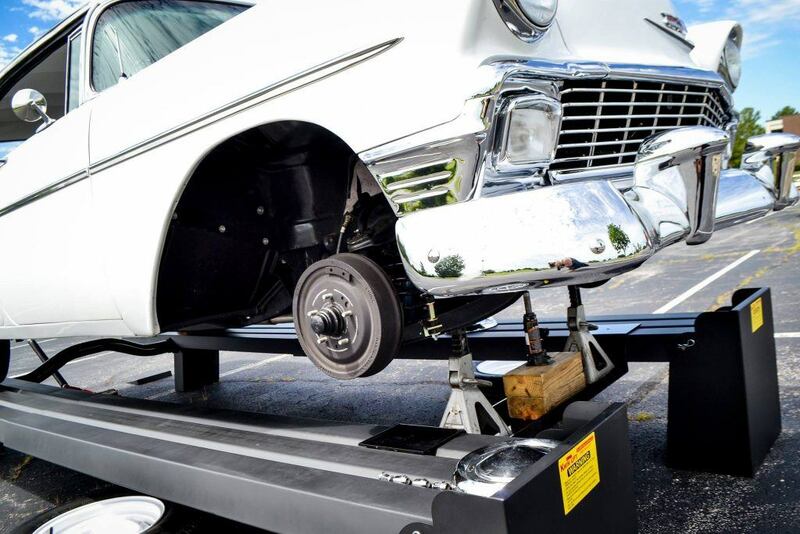 Ask us about this and we will email you the directions for a simple way to lay the lift flat on the floor and park your car on it. What is Kwik-lift constructed of? Is Kwik-lift difficult to assemble? No! Kwik-lift can be assembled by two people in 10-15 minutes. ( It may take slightly longer the first time) the unit can be disassembled in about 5 minutes. All you need is a couple of wrenches or sockets and some spray-on lithium grease, which should be applied on the lift tube prior to assembly. One person can handle the assembly process, but we suggest using two. Most of the vehicle lifts we sell are shipped to the freight terminal nearest to your home or business. We call this “LTL Shipping.” When your shipment arrives at the local freight terminal, you’ll need a full-size pickup truck to go and pick up your shipment. We can arrange to have your new lift shipped directly to this business at no additional charge. When you place your order, we will contact you to help you choose the best shipping option. Your Kwik-Lift will be shipped to you via LTL freight carrier. Due to the unique size of our products, we must contact you to make specific shipping arrangements, and we can discuss expected delivery times at that time. Shipping cost is determined by location. 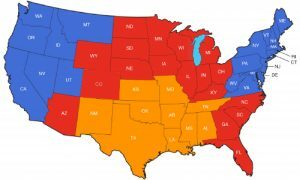 See the map below for our shipping zones. We only charge sales tax in the state of OK. Yes. Our lifts come with a 12 year warranty, and powder coating is warrantied for one year. The warranty specifics are detailed with the individual product’s information, as well as on our warranty page. Feel free to call us at 800-961-LIFT (5438). We’re also happy to answer your email, so write us at sales@kwik-lift.com. Do you ever offer discounts or coupons? We try to keep our Kwik-Lift prices low, but we understand this is a big purchase. Please consider our financing options. Low monthly payments are available. Please contact us right away at 800-961-LIFT (5438). Of course, we’ll be in touch with you about shipping details, but it’s best to cancel the order prior to that.